BC SPCA > FAQs > Wildlife > I found a baby deer alone in a field/garden/backyard – do they need help? I found a baby deer alone in a field/garden/backyard – do they need help? Every year, wildlife rehabilitators care for healthy fawns that were thought to be orphaned. It is normal for a mother deer to leave a fawn alone for periods of time. They come back only a few times a day to feed the baby, who waits quietly while hiding from predators. If you find a fawn lying quietly, and you are worried it has been abandoned, don’t disturb it. Check on it from a distance for the next 24 hours – the mother will likely return and move the baby to a new spot. 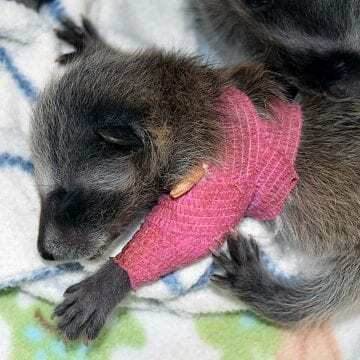 If the fawn has not moved after 24 hours, starts to cry, is wandering aimlessly, or looks injured, contact a wildlife rehabilitator right away. If the fawn is in an unsafe location, move it gently to a safe spot very close by so it won’t get hurt. Print our card on what to do if you find a deer fawn (PDF). 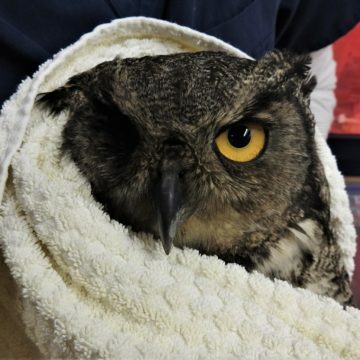 Read more about rescuing wild animals. This deer fawn doesn’t need help – he’s hiding quietly until mom comes back.